The Internet provides us the ability to craft our words into an art-form. We communicate by typing our language onto a screen; we click a button that sends our words into an infinite space. Whither goes our message? Who knows? Out there somewhere, or everywhere? Communicate we must for combining this modern utility with our art we reveal our character. Our ancient ancestors did the very same with their utility of a natural marker, leaving for the ages a record of their thoughts on the walls of their cave homes. And so it is with each and every blog post I make. I cast my words, my thoughts, into the ether. Are they communicative? Are they well-crafted words? Are they long-lasting? Are they powerful? “Blenheim,” located at 3610 Old Lee Highway, Fairfax, Virginia, is a brick home built by REZEN WILLCOXON about 1858, to replace an earlier frame dwelling. This 12-acre former farm, includes a cemetery for several generations of the Willcoxon family who lived here. Blenheim is renown for its outstanding examples of Civil War soldier graffiti. It is currently being restored. The day we were there, a recent tropical storm had left many downed trees, but no damage to the structures. 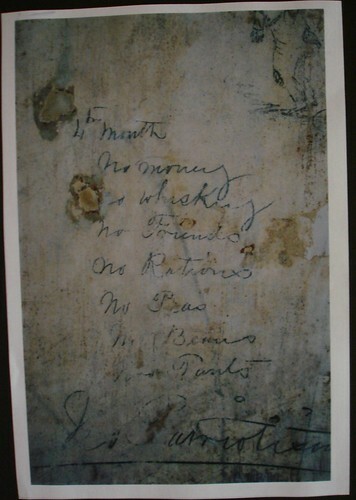 The image, Soldier Graffiti, was originally uploaded by Edna Barney. It is posted here from Barneykin’s account. Oh to be in West Virginia, now that summer’s here. Oh, to be dancing on the porch of the old mansion at the top of the mountain in Elkins. Oh to be watching the flatfoot dancers and listening to the old timey musicians. Those were wonderful days and memories I cherish. They still be a-happening, according to this video. Bee Kind to Our Earth. 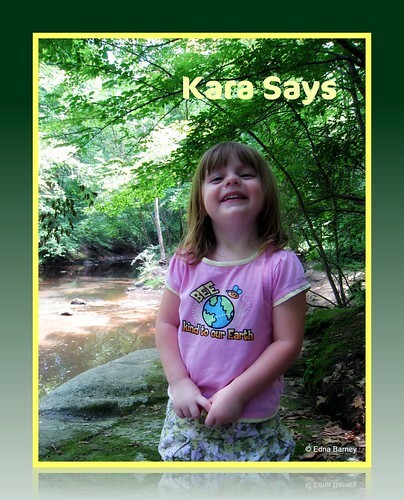 Kara is standing on the bank of Pohick Creek, a tidal tributary stream of the Potomac River. Pohick Creek forms in the vicinity of Burke, Virginia and flows approximately thirteen miles, past Grandma’s house, before emptying into the Potomac River at Pohick Bay at Lorton, Virginia. Pohick Bay empties into Gunston Cove with Accotink Bay. 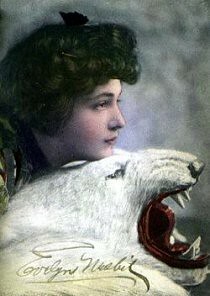 The image, Poster Child, was originally uploaded by barneykin. It is posted here from Barneykin’s account. This is my very first panorama photograph ever! I was not sure which size focal length to use, as my images were recorded as 5mm focal length. 5mm was not one of the choices for the Canon software, so I used the shortest available – 24mm. Then I went to Picnik and made a poster from it. The image, Salt Lake City Skyline Poster, was originally uploaded by barneykin. It is posted here from Barneykin’s account.